Discussion in 'Pokemon GBA Event Distributions' started by Professor Oak, Dec 23, 2017. And what we are doing to that guy is almost a favor, I think it shouldn't be hard for him to accept the deal. Because Gen 1 games don't have an internal clock to drain the battery at an accelerated rate. Deoxyz and fabio00 like this. 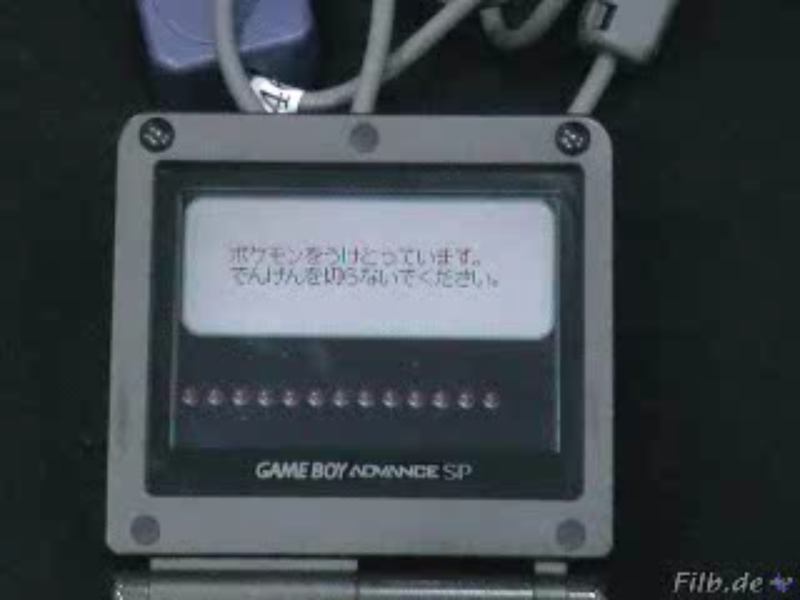 For the record, I contacted the owner of the Gen 1 Mew cart. Would anyone believe me if I say it won't cost a cent, other than shipping? That's the truth. I'll be shipping my cart dumper to them by Monday. I'll share all the details/pictures, etc later on, once we have the savefile posted in it's own thread. Though, if anyone was considering contributing for this, keep the thought in mind, or contact me about it whenever. Because we'll still need funds and luckily they can be directed towards future projects. Shank, ronaldo99, Invader TAK and 2 others like this. A fantastic result @Deoxyz it's nice to find people can be reasonable to deal with. I shall feel much better when it's dumped as that battery really can't have a lot of juice left in it now. theSLAYER, Invader TAK, Deoxyz and 1 other person like this. On the previous topic of images of the devices, I found Festa Metang pics in my files I forgot I had. Note the unique black background instead of white. Of course this is trivial, but still interesting. The most I can say at the moment is that there are other roms that have a black UI as well. Also, I guess it could have seemed obvious to some, but using the multi mode to distribute to more than one game at once gives out identical clones to every game. At least it did that for 10ANNIV. Invader TAK and InsaneNutter like this. I wonder if Nintendo/GameFreak knew this and that's why they only distributed to one game at a time. I'm guessing the UK Shiny Zigzagoon distro either doesn't give out identical clones or they didn't care since the cart also had the Berry Glitch fix. Invader TAK, Shank, InsaneNutter and 2 others like this. Now that we have the Gen 1 Mew cart save, I guess we can focus our efforts on the UK Aurora Ticket? Willing to contribute significantly to this. I rank this as high as Mystic Ticket and 10 ANIV Celebi just for the ability to go to Birth Island on our beloved Emerald games. I'm alright with attempting the European Aurora Ticket, only given I see enough support. I'm not repeating the stress of Aura Mew. Another problem is that currently all of the regular contributors, including myself, aren't really financially ready to throw too much money toward anything for at least the next few months. I wasn't planning on trying to obtain a new rom until mid-year at the earliest. I suppose I could at least talk to my contact sometime soon and get an idea. Depending on what he says will determine if this is a foreseeable goal for this year or not. Eames, Invader TAK, fabio00 and 1 other person like this. In the future i'd defiantly be interested, however at this moment in time throwing money at distributions is not something i'd personally be too keen on, however if others want to and theirs enough interest i'd say go for it. I've just purchased an Nintendo Switch as it's still relatively easy to obtain one on an exploitable firmware. Although i'm not too bothered about the Switch at the moment, by the time the next Pokemon game is out it could well be hard to obtain an exploitable Switch, especially as i'd expect Nintendo to have locked down all the recently announced exploits with a hardware revision. (the bootrom bug by fail0verflow for example). So getting one now I see as an investment, keeping that in mind i'd like to be in a good position to hopefully help collect event's and wondercards for GEN 8 going forward. SciresM has announced TrustZoneHax works on firmwares up to 3.0.2, which is perceived to be the Switch equivalent of arm9loaderhax from what I gather. With that in mind I perceive Switches on lower firmware versions to possibly have some soft of CFW solution by then, allowing for homebrew (save game backups) and playing games on later firmware versions, such as Pokemon. None of that might even matter if Team-Xecuter have released their modchip for the Switch by then, or fail0verflow release their bootrom bug, however I like to keep my options open as the 3DS was locked down for a long time after the initial 4.5 exploit. That also might be something to keep in mind for people here who want to get in on future Pokemon games, however its pure speculation at this point as we have no idea how long it's going to be before a Pokemon game is released on the Switch and how much the console will be hacked by that point. In the future though i'd be interested, if its anything like the Aura Mew we're going to really struggle sadly. Whats special about the ''UK'' Aurora Ticket distribution device? Besides distributing to ALL languages except japanese it is also compatible with Emerald and the Wonder Card is slightly different. The US one only works with FR/LG and only to english games. Basically the european one is the "ultimate version" of the distribution. ronaldo99, InsaneNutter and Deoxyz like this. @fabio00 explained it perfectly. Not to mention the US never had a distribution for Emerald, but still legal since you could've technically have visited the UK at the time of the event. Gen III English games are identical regardless of region. I just want to directly clarify that it is indeed a "European" Aurora Ticket, not just the "UK" Aurora Ticket. It was a misused title before I/we realized all wondercards were most likely all on the same cart. Basically it makes sense to be like the European Eon Ticket and Aura Mew. There's good reason why 10ANNIV is split on 5 carts. Each pokemon has its own multiboot file, and each language requires its own due to OT, so that would have required 50 MBs crammed in one rom. Besides, my contact had referred to it as "European", so it was my poor memory on that why I originally implied "UK" and that each language was separate. ronaldo99 and fabio00 like this. So if we acquire the ''European'' distribution device, we will have access to all language variants of the Aurora Ticket (german, french etc. ), right? I just thought it would be only sending the english Aurora Ticket. Yes, that´s right. We would have the hability to distribute the event to every game except the japanese version of FR/LG/E. Wow I only just discovered this forum and post yesterday, this is amazing! I never got any of the gen 3 events as I never had the games at the time, nor did I ever hear about the events happening as I was too young. Do you think doing for the Japan old sea map distribution will ever be possible? 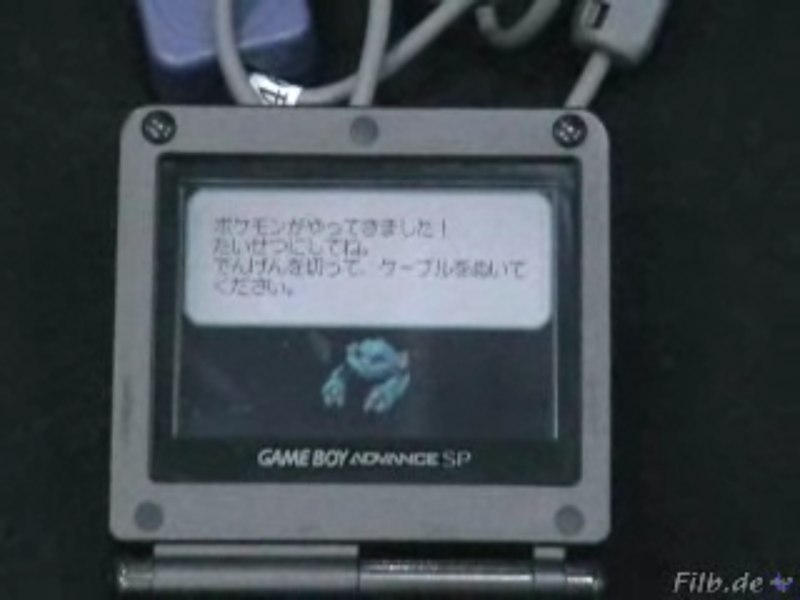 Or will that always require a gameshark? fabio00 and Deoxyz like this. Getting the distribution for this is very unlikely, however we do have the next best thing. You can use Mystery Gift Tool by Suloku which allows legit Mystery Gift event Wondercards to be injected in to Gen 3 Pokemon games. Although you have to use a tool on the PC (or NDS / Wii) to inject this Wondercard in to your save, the end result is the same as receiving the Old Sea Map from a distribution. So you can access Faraway Island without using any Gameshark codes or cheats, exactly the same as if you had been to an event back in the early 2000's. Unfortunately, Japanese roms aren't known to have ever leaked, with one exception that we know of. I suppose it's possible to eventually see the Old Sea Map, but very unlikely. Alternatively, we have the Mystery Gift Tool from ProjectPokemon which injects the official wondercards into your game, just as if you received it from a distribution rom. These wondercards were dumped from savefiles that obtained the original event. Of course, in Gen III wondercards were only used for the ticket events, Eon, Aurora, Mystic, and Old Sea Map. For pokemon, we don't have a custom tool yet, only the original distribution roms that we've been able to obtain so far. Edit: Oh, InsaneNutter beat me to it.